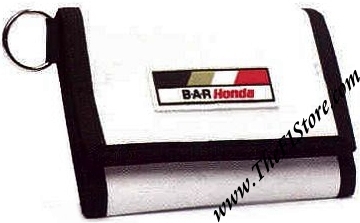 BAR Honda F1 Team Wallet. Team wallet with the BAR Honda F1 team logo on the in- and outside. This is of course officially licensed BAR Honda F1 merchandise.